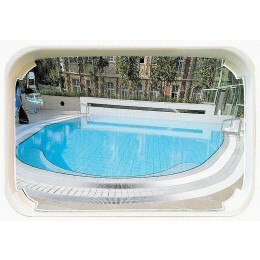 Vialux Convex Safety Mirrors for Swimming Pools - the only mirror available for use in leisure pool and aquatic centres to offer surveillance in obscured areas. Treated to be resistant to Chlorine fumes with a full 5 year guarantee. Two models - one for indoor and one for outdoor use.